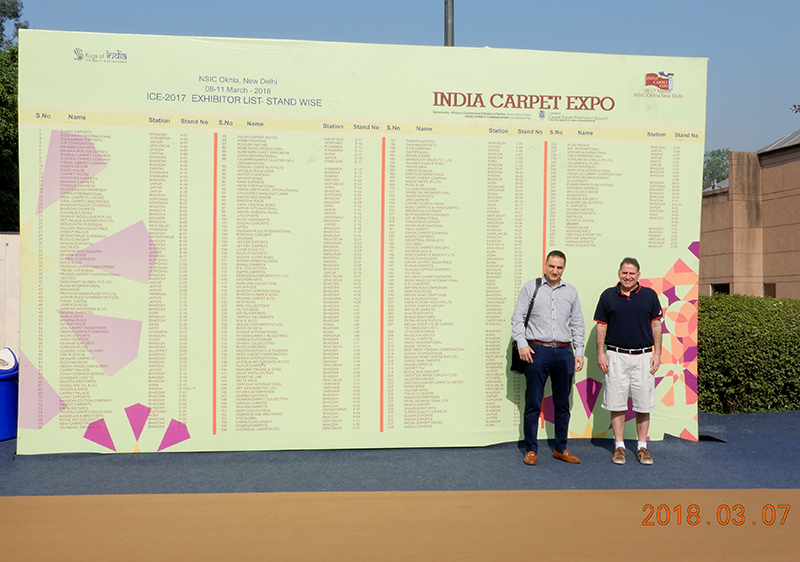 Overall, Sevak and I thought it was an excellent show, with good international attendance and about 260 exhibitors’ booths to explore. Happily, the mood was upbeat on the show floor, and most attendees from around the globe seemed encouraged by the strong economy. This made for an environment that was filled with products and possibilities. Our mission for this show was to seek moderately priced merchandise with dynamic style, and we were not disappointed. 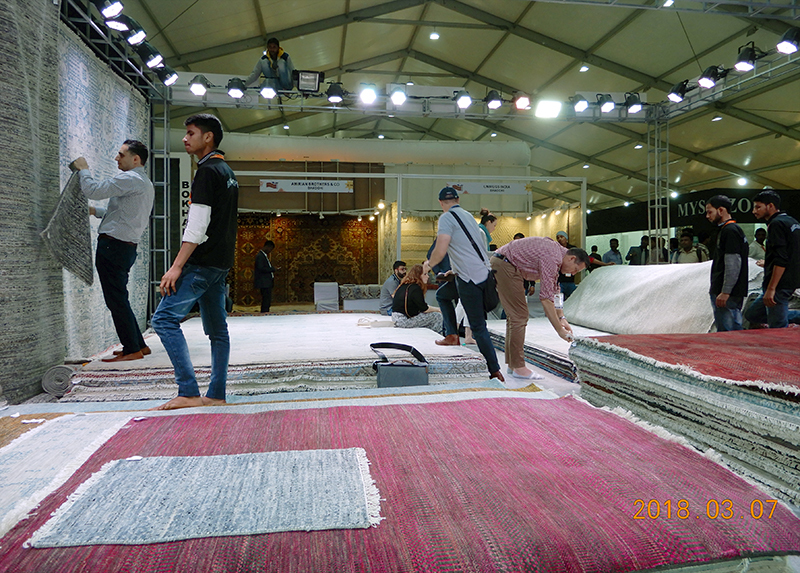 Manufacturers showcased an exciting assortment of truly handsome rugs at great values. We placed a number of orders, which will be arriving over the coming months. After the Delhi show, we traveled to the city of Jaipur, which for the last decade has been weaving some of the finest rugs in the world. We selected very carefully, making some truly special purchases, which will be shipped soon to Chicago. The most stunning piece is an 18′ x 24′ hombre rug in gray and silver tones, meticulously hand-knotted from choice selections of excess wools. It is the ultimate in upcycling! 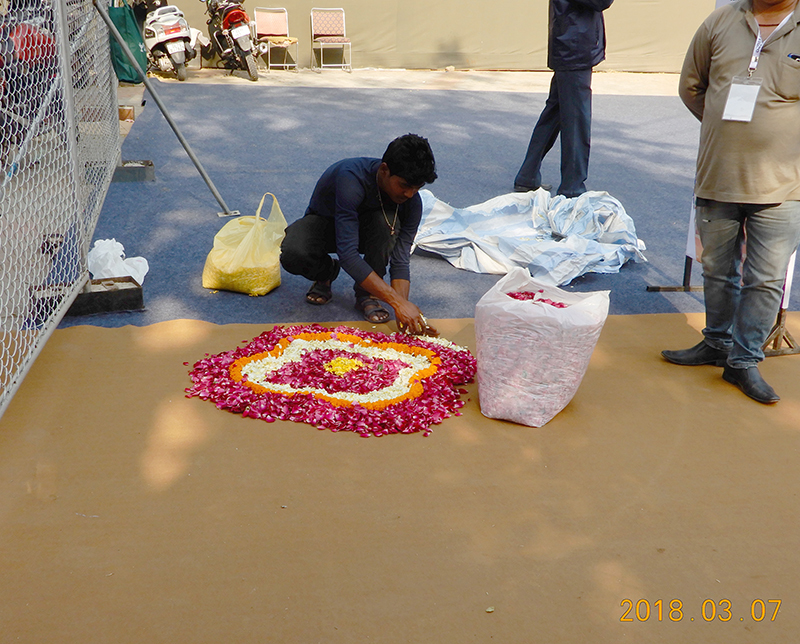 The piece was sheared beautifully to the perfect pile height. I can’t wait for you to see it! 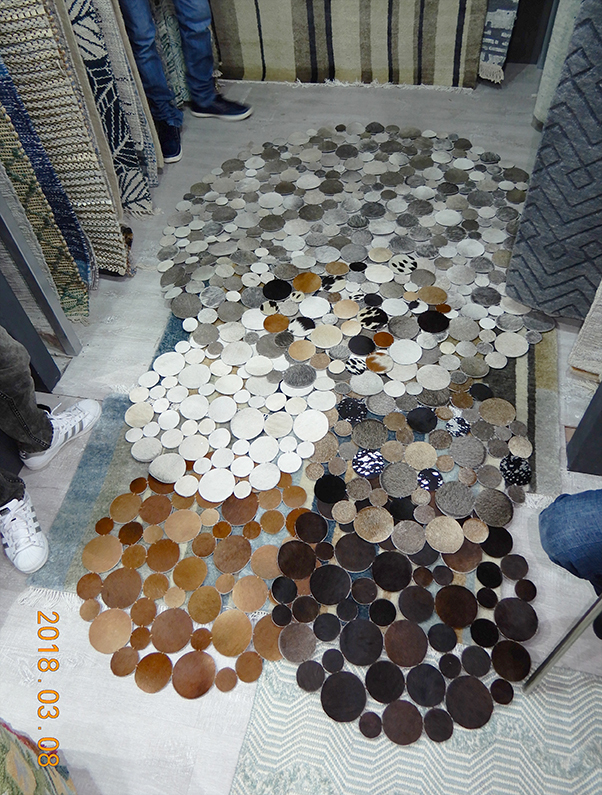 We also spent considerable time reviewing samples of new designs in terms of color, pattern, and silk and wool percentages. This will turn into some beautiful new product options for us throughout 2018. We’ve been thrilled with the evolution of the products coming out of India over the years and have developed strong relationships with our suppliers, allowing us to collaborate and bring to you the most relevant, quality designs available today. Stay tuned for our next product unveilings! You won’t be disappointed!